Gage Berry, from Amherst, VA, joined the Stanford Athletic Training staff in July 2017 as a member of the Advanced Athletic Training Fellowship program. 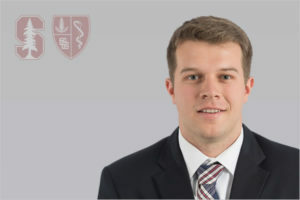 Gage came to Stanford after 2 years as a graduate assistant athletic trainer at Clemson University, where he completed his Masters’ degree. While at Clemson, Gage served as the athletic trainer for the campus recreation club sports program, his primary responsibilities with the men’s rugby team. Gage received his undergraduate degree from James Madison University in Harrisonburg, VA.
Gage’s primary responsibilities are with field hockey and softball programs.